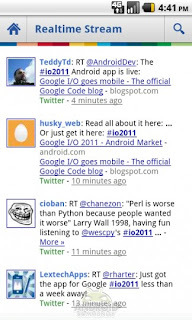 Home Google Google I/O Official App – Go Get it Now! 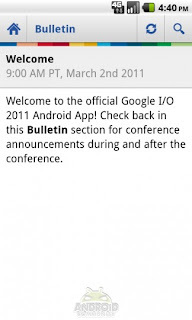 Google I/O Official App – Go Get it Now! 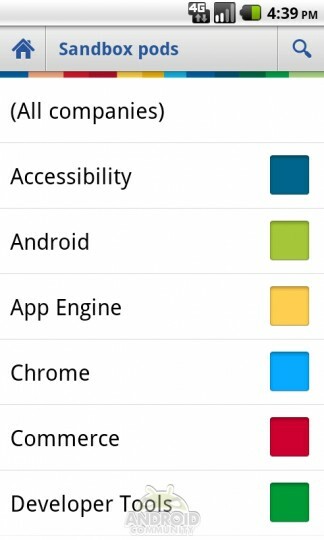 Are you going to Google I/O next week? 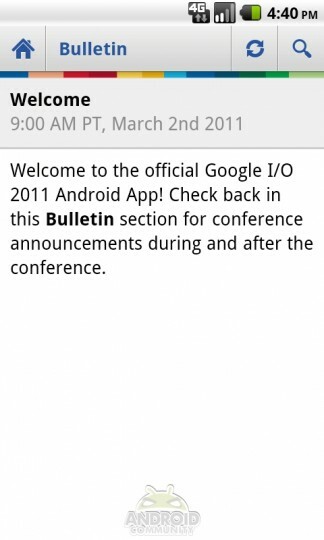 Well then, you need the official Android app for the conference. 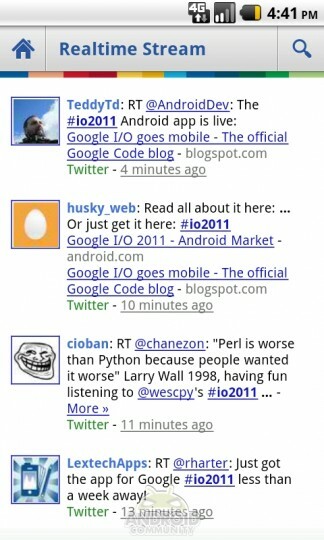 Even if you’re not attending, and want to follow the happenings, it is a good app to have. Google I/O, in case you were not aware for some strange reason, is Google’s sold-out developer conference being held on May 10th and 11th, and is jam packed with sessions and speakers. The app allows you to look at the schedule, see detailed session and speaker info, and see the conference map. 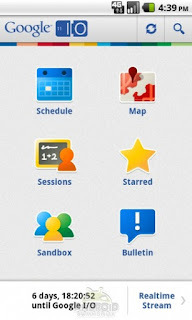 You can also star sessions and Sandbox companies so that you can organize your schedule and refer back to the companies you’re interested in. The app has a Bulletin section that gives you official updates during the conference so you can keep up with all the news, and also a realtime stream that shows tweets about the conference. The app also lets you create and manage notes using Catch, and has a search feature so that you can quickly find what you’re looking for. Remember, Android Community will be covering Google I/O live, so be sure to set up camp here next week as we feature all the breaking news from the conference. Previous articleAsus Transformer preorders cancelled by Target – or were they? 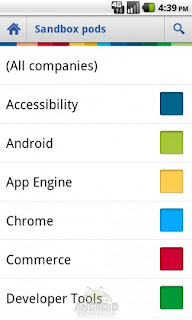 Next articleWhat is the HTC Kingdom?